Supplied in a 500ml hand held spray. Properties: Powerful cleaning – naturally. 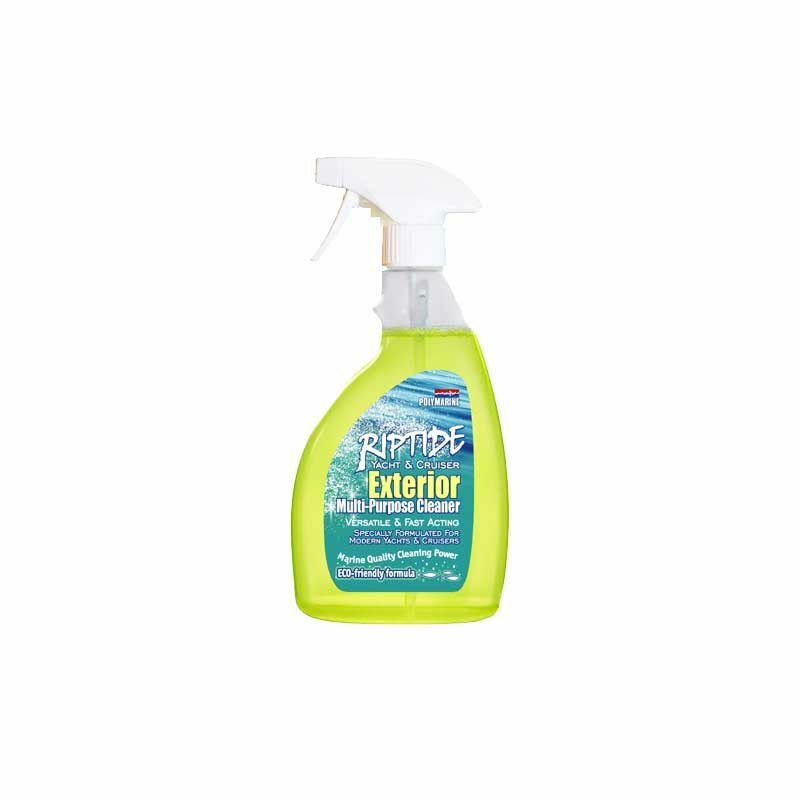 Hygienically and chemically cleans GRP, Gel coat and all hard washable surfaces. 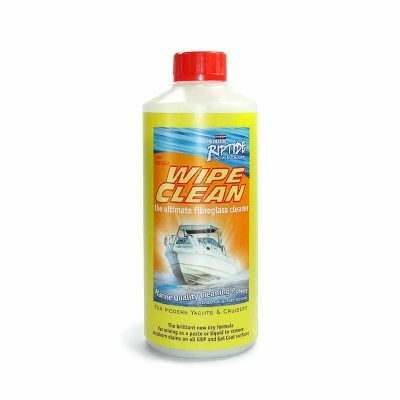 Contains no solvents or CFC’s, ideally suited to the modern marine materials. 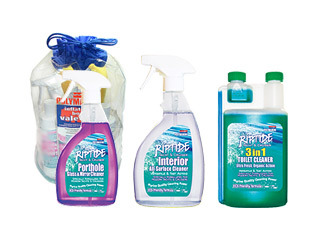 Leaves no residue of unnecessary chemicals. Optimum level of biodegradability – far exceeds legal requirements. Totally safe to Marine life when used as instructed. Instructions for use: Economical to use. 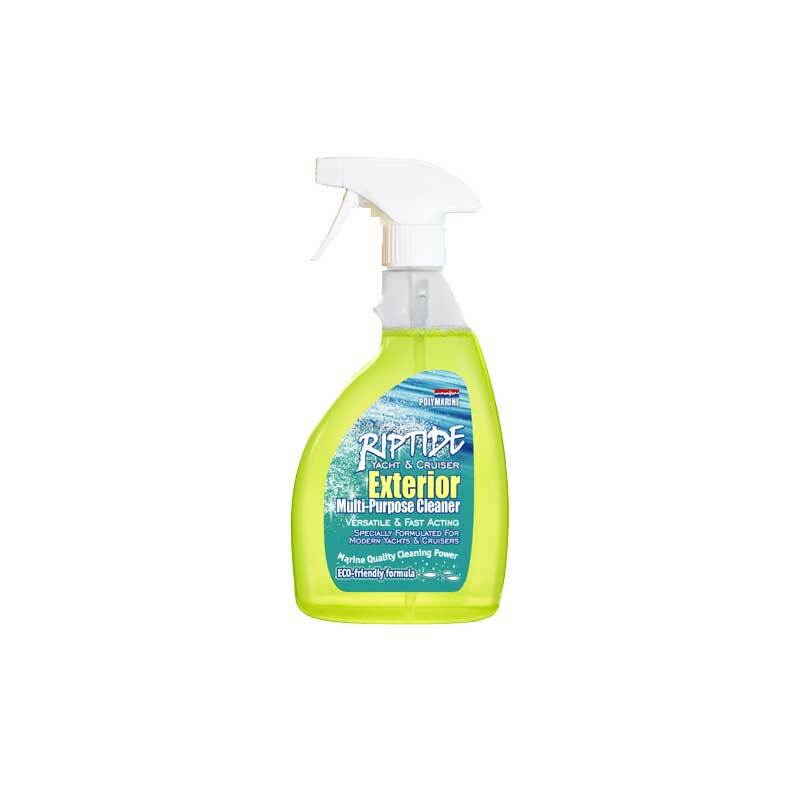 Wet area to be cleaned first with water, spray Riptide Exterior Multipurpose Cleaner directly on to area to be cleaned. 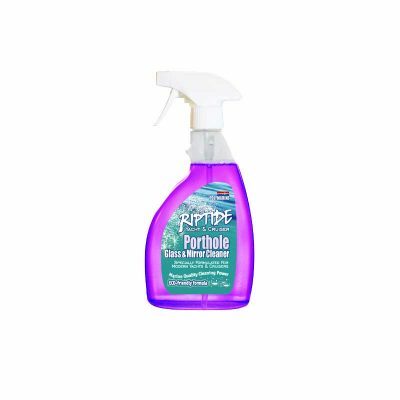 Spray from 25cm away direct to surface or onto soft application cloth and gently rub area then wipe off with a soft clean cloth for extra sparkle Agitate with a clean cloth or sponge, rinse off. Repeat application if necessary. Suitable on all washable surfaces, GRP, Gel coat, laminates. Ingredients: A sophisticated blend of Anionic surfactants and chetaling agents. Conforms to EU Directive on Biodegradability. Does not require any special labelling information.